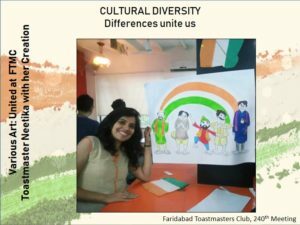 As Indians, we are proud of our cultural diversity and strongly believe in the slogan, “unity in diversity”. 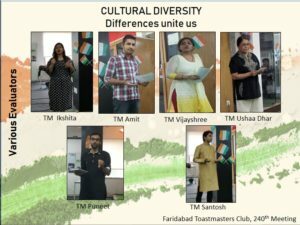 But what importance does diversity hold for a Toastmasters Club? 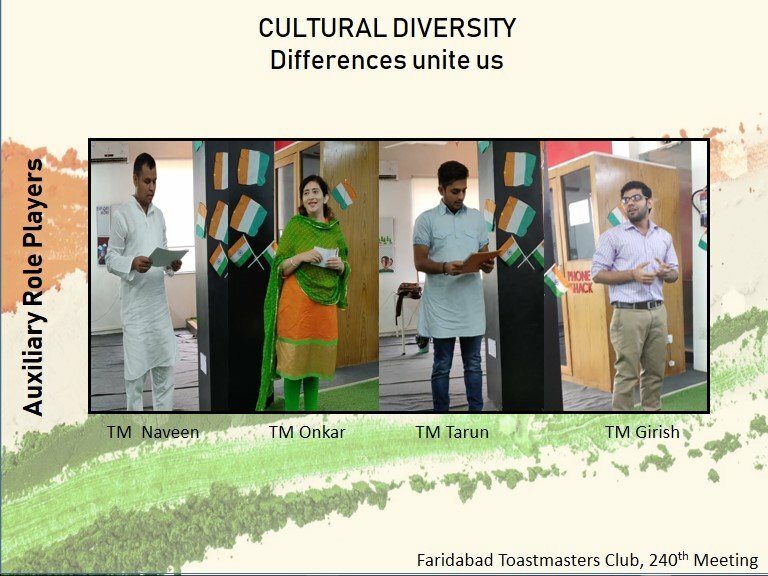 Toastmasters is a platform which by design promotes cross-learning between individuals coming from different cultural backgrounds, different professions and different walks of life. 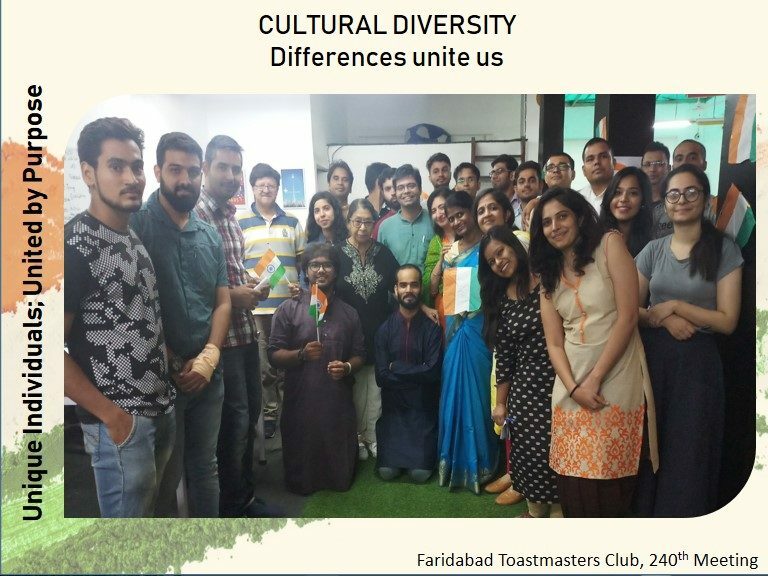 So, diversity of club members is crucial to promote this cross-learning. 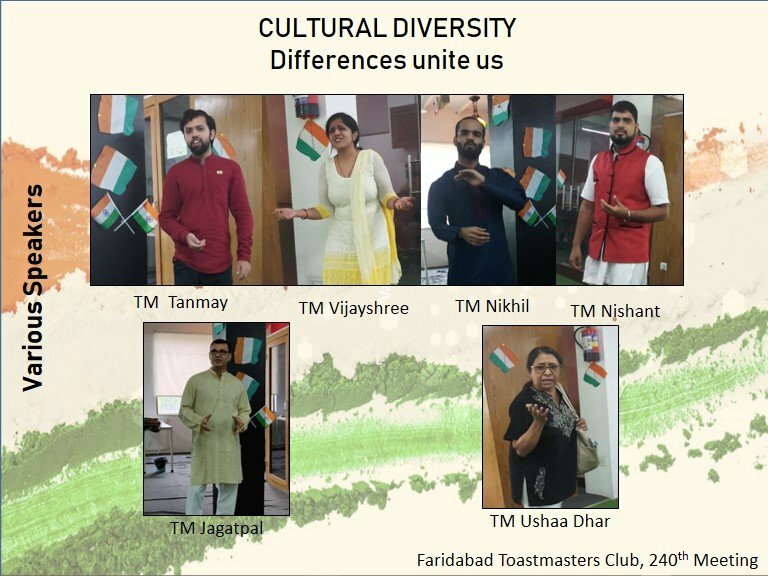 We celebrated this diversity of FTMC Club members in our 240th meeting on 19th August 2018. Our toastmaster of the day, Tara, led this meeting and shared her insights on how toastmasters coming from diverse backgrounds are united by a common purpose of self-improvement. Tara herself is one of the best examples of diversity at our club. 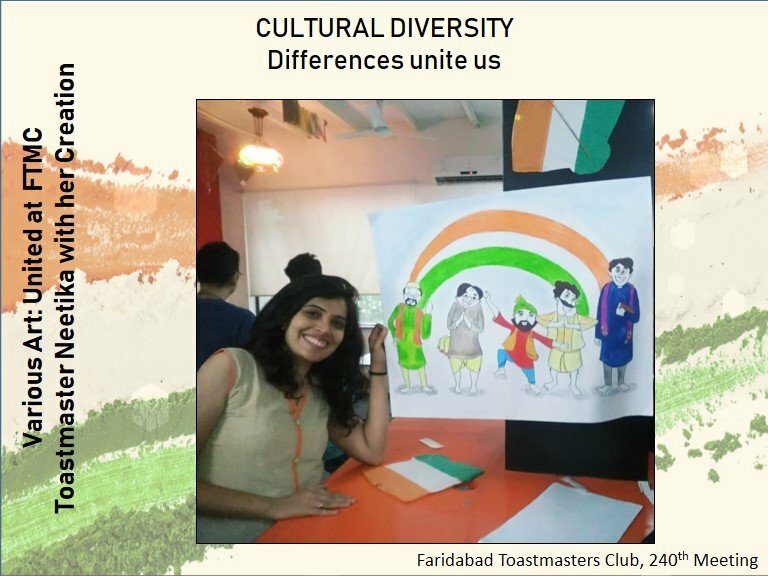 In her own words – “I was born and brought up in Haryana, but for a Haryanvi, I am a Madrasi. My ancestral roots are in Kerala, but for a Keralite, I am a ‘Fraud Mallu'”. 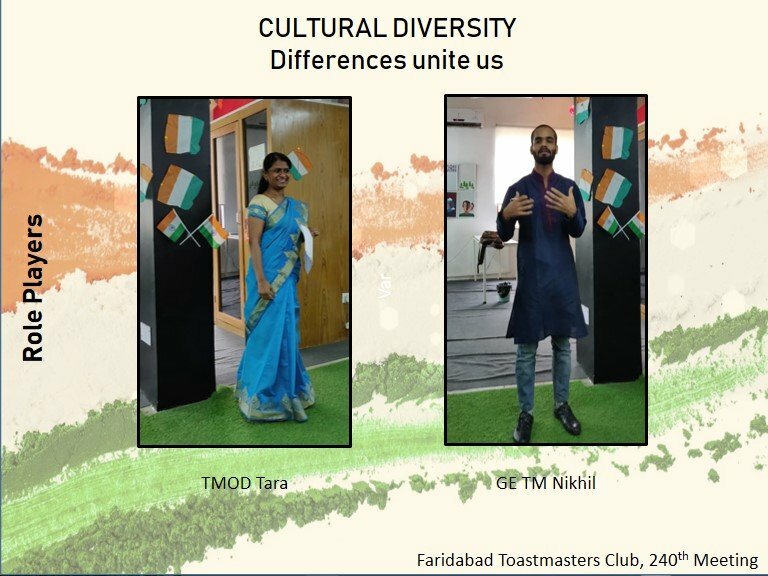 With ethnic wear as the dress code for the meeting, people showed up in colorful attires to deliver speeches and perform different roles which made the meeting vibrant. We are really proud of the cultural diversity of our club.